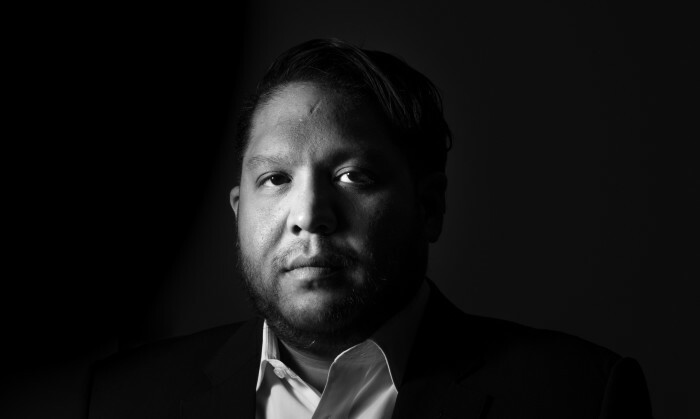 Tanner Nagib (pictured), regional client service director and digital director at Hakuhodo is leaving the post in Q3 this year. Nagib has been with the agency for over six years. He has been responsible for managing overall P&L for portfolio of a number of brand accounts and leading teams of up to 50 members in servicing, planning, creative, media, digital and social teams across APAC. In his time with Hakuhodo, he was pivotal in increasing local revenue growth of Hakuhodo Group through a series of successful acquisition of businesses ranging from Canon Asia Pacific digital brand presence campaign to Kose total creative, digital and media campaign for the Singapore office. “Almost everything becomes a bad case of trial and error. For instance, I remember a time when brands would be briefing us to build the number of followers on their social pages. Even back then, this did not make sense to me. Today it is about engagement and conversion to e-commerce platforms. But is that the real shift and how we measure success?” he said. He added that regionally, the market gaps are even more obvious. Consumption habits of media platforms, retail situations, and spending habits vary to such an extent in each market that advertising expenditure decisions become a challenge. As such, marketers need to find a delicate balance between maintaining top-of-mind with existing consumers, and being relevant to potentially new consumers or a new consumer group that hasn’t even become a consumption statistic yet. “For me, the real challenge is that we have been blinded by the smoke and mirrors this transformation has placed in front of us. There is no denying that digital platforms and data are taking center stage and we cannot ignore it but we need to stay focused on what we want to get out of these platforms rather than what we can do on these platforms,” he said. More on the conversation below. Marketing: How do you keep up with client demands and changes in the digital scene? Nagib: Someone once said to me everyone exist in your life for a reason. As philosophical as that may sound it is so true in today’s world. I do my best to listen to everyone, and anyone that is being more explorative, more adventurous in their approach to things. The young are particularly amazing at this – the new generation whatever said about them are the most adventurous lot you can find out there. They will introduce you to methods, platforms, habits that you never knew existed. Learning for them and practicing on your own helps me in keeping up with the changes. In all honesty it isn’t easy keeping up. Marketing: What are some of the biggest shifts in clients you have seen in recent years? Nagib: Fear of the unknown is the root of almost all complication and disruption. Today the landscape changes, the platforms have evolved and consumer market is given a slew of brand choices. Constant battling unknowns have cause many brands across the region to take refuge in investing in everything they can, and therefore thinning focus, diluting the messages and affecting budgets. This becomes a vicious cycle – the more that is fed to brands the harder it becomes. It isn’t just in Singapore – its ubiquitous. Our industry needs to streamline and steer the ship back on course, or stand to lose our footing with the clients and their brands. Marketing: Why did you leave the Malaysian ad scene? Are there any plans of going back? Nagib: The Malaysian market and the Malaysian ad players taught me a lot about how to connect with the consumers, and how to look into a diverse set of consumers. At that stage of my career I was looking to challenge myself, endure the transformation or shift in realtime. Singapore was primed for that, with the government bodies investing in technology to digitise the nation, agency’s building centre of excellences, and an influx of forward thinking talent. I wanted to be in the centre of it and from an infrastructure stand point, SEA had only one market ready for it – at that time. Any plans of going back? Maybe. The question really is, can I bring back value to the Malaysian market at this stage? Have I learnt enough and can I make a difference? The Malaysian market has undoubtedly some very talented leaders and upcoming ones, if all goes well with them the market will be yet again a very attractive place to be in this business. Marketing: What do you think are some of the skillsets necessary to be successful today? Nagib: Modern world an old world no difference really. If the very basic skillset of truly deep diving into the business problem or challenge at hand is ingrained in your thinking processes, you’ve got your footing locked down solid. This is easier said then done though, you would need to be someone that is willing to challenge the status quo, challenge yourself, challenge conventional thinking and is ultimately a tough cookie. Having said that, I’ve been blessed to work with some of best creative thinkers the industry has to offer and if I were to pick one commonality, is that they were all worldly – people who were well-read and questioned everything. People who woke up every morning wanting to learn new things and experience something different. Combined, the skillsets will definitely bring you up to par. What sets you apart is perseverance, very little of this these days. Someone once said, “If you can dream it, you can make it.” – the only thing stopping it is yourself. Nagib: I have no clue what’s next. My love for the business of communications is undeniable so I guess I am looking for a home to solve the riddles of future communication challenges, help brands expand on their footprint and do my part in developing the future generation of leaders in the business, whatever that might look like in the next 10 years. Whether it is with an agency, a platform provider or client side is yet to be determined.